This post is sponsored by iHerb, but the opinions are my own and I did shop at iHerb before they became a sponsor. January is just around the corner and you might be thinking about implementing new healthy habits for 2018. Regardless of your goals, the one thing that I find has the biggest positive impact on both weight and diabetes management is meal prepping. Having a structured approach to what and when you eat definitely makes a lot of things easier. Another thing you can do to make life easier and remove some of the stress is grocery shopping online. That’s why I have started buying a lot of my groceries at iHerb. 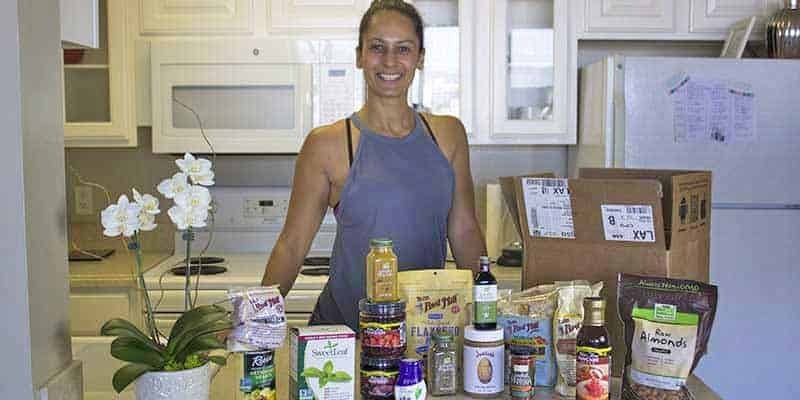 In this post, I will go through the main products I buy online and how they make my meal prepping easier. This week, I have been following my own Healthy Diabetic Meal Plan. I hope you will take a couple of minutes to check it out, but the cliff notes are that it’s a plan with six daily meals that are easy to prepare (or can be cooked in large batches), tastes GREAT, and won’t cause havoc on your blood sugars! I generally meal prep on weekends, which means that I can buy all the fresh ingredients (veggies, chicken, fish, etc.) at my local farmers market or small grocery store. But that still leaves a lot of products (like sugar-free syrup) that I have to get somewhere else. If I didn’t buy them online, I would have to go to 2-3 different grocery stores to get them all because none of my local stores carry all the products (at least not from the brands I like). But iHerb does, which means that I can have everything delivered straight to my door just in time for meal prep. How awesome is that! The fact that I can buy all of these stables online and therefore never run out makes my meal prepping a lot easier! How about accessibility and price? Other considerations, aside from convenience and quality, is accessibility and price. What I really like about iHerb, and why I recommend it to you guys, is that they ship to over 160 countries, provide support in 10 languages (you’re a diverse group, so that’s key!) and are pretty affordable. The products you see above (including shipping) were less than what I would have paid in a specialty store or Whole Foods. BONUS: As an extra bonus from iHerb, new customers can get a discount on their first order by clicking this link. 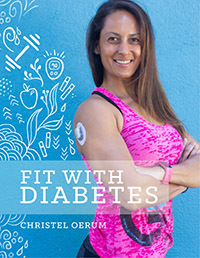 You can use your discount to shop for my Healthy Diabetic Meal Plan” like I did, or just dive into their huge selection of products (they have more than 35,000 unique products). Even if you buy nothing else, I really suggest you try the sugar-free Walden Farm’s syrup. It’s the sugar-free product I know that tastes the most like the original. I’ve talked a lot about that syrup here on Diabetes Strong so it’s probably worth celebrating that I now know where you can get it, even if you’re not in the US. I don’t believe there is such a thing as diabetic food. 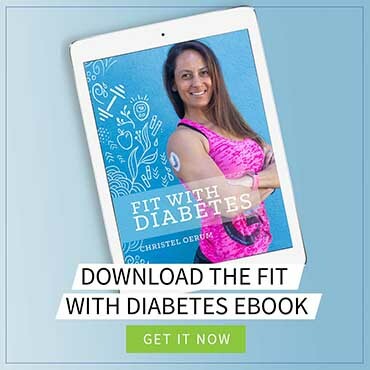 What’s often described as a diabetic diet is the same that’s recommended for people not living with diabetes. It’s reduce processed food, reduce sugars, and eat primarily whole food. I’d suggest you focus on low to medium glycemic carbs and learn how different types of food impacts your blood sugar so that you can choose what’s best for you.